Dr. Theodore Diktaban is a Board Certified Plastic Surgeon with over 32 years of experience. 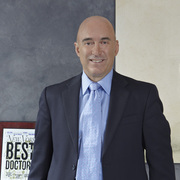 Listed in Top Doctors directory as one of the "Top Plastic Surgeons in New York". Honored in New York Magazine's "Best Plastic Surgeons" listing & The New York Times' "SuperDocs of New York". For Dr. Diktaban, the concept of “natural” is a motivational mindset continually inspiring him to provide his patients with the perfect blend of realistic, aesthetic, and safe cosmetic enhancements. He believes that cosmetic plastic surgery should subtly enhance what is naturally present, for the most aesthetically pleasing version of yourself, rather than a caricature of someone else. From this philosophy, Dr. Diktaban consistently creates natural-looking results for men and women of any age. Dr. Diktaban has superior expertise with facelifts, cosmetic surgery of the eye and brow, breast enhancements, body sculpting, as well as cosmetic and functional surgery of the nose. His down to earth and welcoming character offer a sought after sense of comfort to all of his clients. This, combined with his signature blending of both the scientific and artistic sides of medicine, allows for results that enhance the natural beauty of each client in subtle and flawless ways. Sólo tienes que subir tres fotos estándar ahora para ver una simulación 3D en tu próxima cita con Theodore Diktaban, MD, FACS. Visualiza tu cuerpo o rostro actual en 3D antes de la consulta y obtén acceso desde casa a tu nueva imagen después de la consulta para poder compartirla con amigos y tomar una mejor decisión. Después de la consulta, Theodore Diktaban, MD, FACS puede darte acceso para ver tu "nuevo yo" desde casa, con tu propia cuenta Crisalix. Esto te permitirá compartirlo con tu familia y amigos o con cualquier persona a la que quieras pedir opinión.